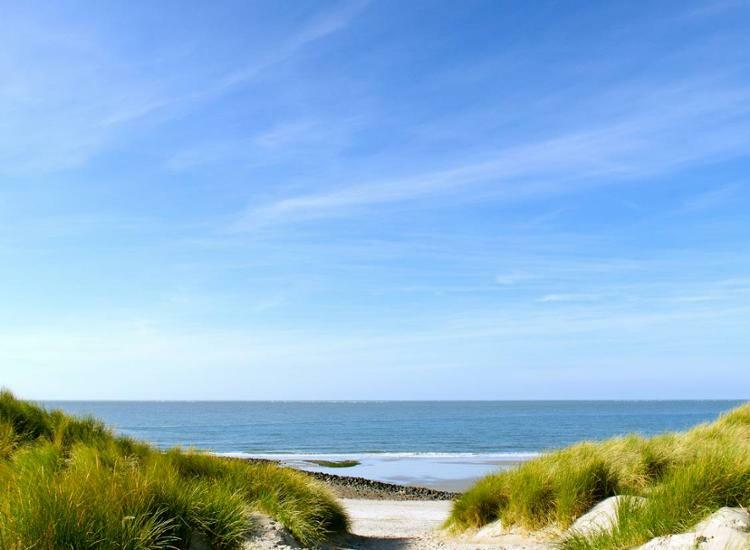 Look forward to your relaxing time out at the beautiful Baltic Sea. You will live in the cozy Hotel Haffidyll located within a very short distance to the beach. The hotel offers daily delicious breakfast from a rich buffet as well as a lunch package which you can prepare individually as you prefer. 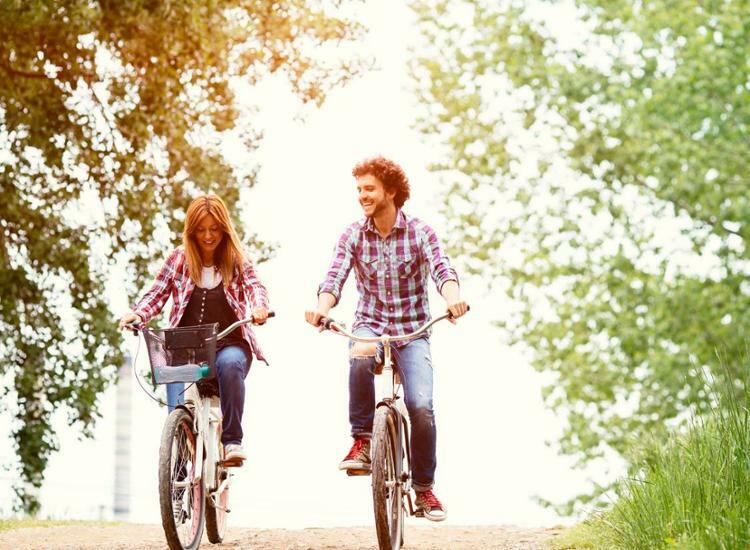 You will certainly spend a few recreational days by the sea and let your mind wander. 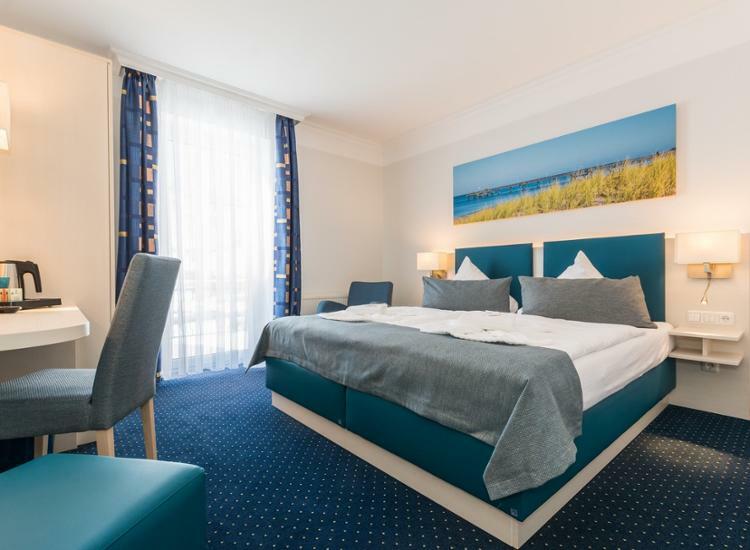 Excursions to nearby Rostock are a perfect opportunity to explore a charming city. 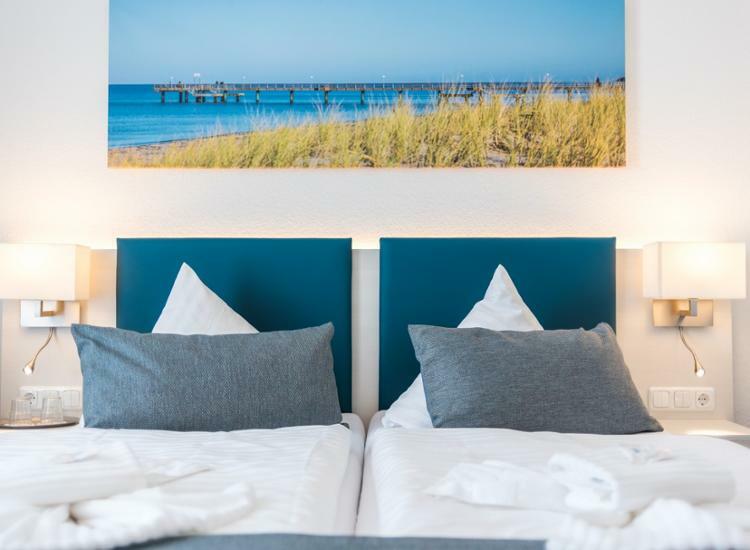 Plan a holiday at the cozy Hotel Haffidyll, located directly on the Baltic Sea resort of Rerik, only a few meters from the Salzhaff and the Baltic Sea. Explore the exciting trail to the cliff above the sea or visit the functional windmill of Stove. Take advantage of the opportunities for fishing and water sports on the Salzhaff, one of Germany's most popular surfing areas. The cozy rooms of the family-run hotel offer comforts such as shower / WC and satellite TV. 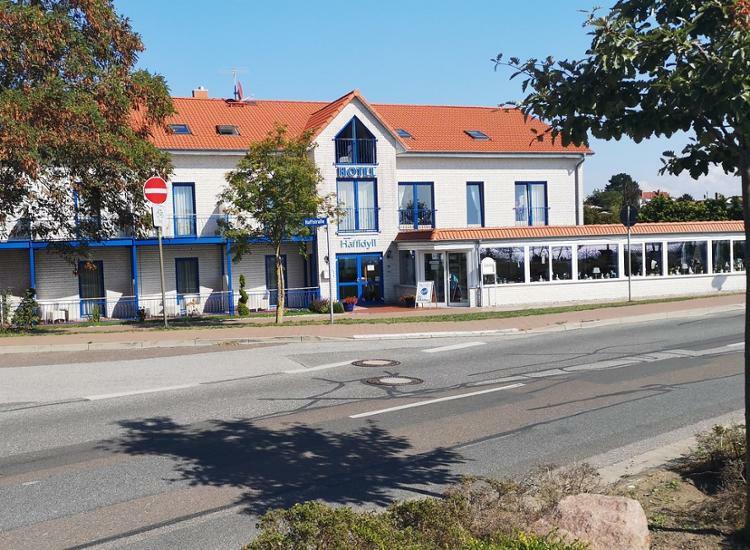 The hotel offers very nice, well-kept attic rooms and double rooms with a view to the country side. A paid parkinglot for your vehicle is located directly behind the building. Breakfast is being served in the spacious breakfast room including a winter garden. You can find a boat rental directly in front of the Hotel Haffidyll. The dock for passenger ships is located just 50 meters away and the nearest sandy beach is only 200 meters away. The dunes are right in your sight. If you want to go for a swim, go to the Ostseebäder Rerik or Kühlungsborn. Undertake a trip to the nearby Rostock (35 km) and to the north-east Wismar (33 km) which offer a lot of variety. Rerik is situated at the north-east end of Salzhaff, which is part of the Wismar Bay between the mainland and the Wustrow peninsula. Do not forget to visit the island of Kieler place - this trip is always a very nice experience.